Well the first month of 2016 is in the books. Woo! Like I said in January I am breaking down my “resolutions” into monthly goals. I went back and updated my January goals with how well I accomplished them. Read more here. I didn’t nail all the goals but I still feel pretty good with what I did accomplish. It is fun to look back through Instagram and see what my month was like. 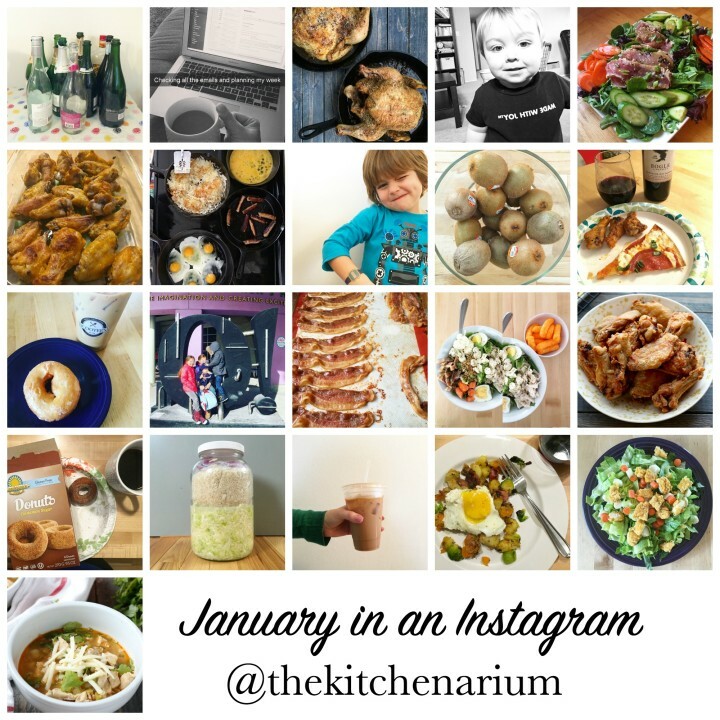 To sum January up I would say chicken wings, big salads, and coffee which is totally accurate. make my bed everyday not every single day but most! organize basement storage closet ugh I put this off again! But spring break it will happen. It is funny how after four kiddos we have to actually make it a goal to have a date night. 😉 Writing down my goals publicly is definite accountability / motivation for me to achieve them. Great goals. I never ever make my bed! Maybe I should start! I am shocked to hear how many people don’t make their bed. I thought I was all alone in that. Haha. I think I need to set some goals myself but keep on being terrified incase I don’t achieve them. Breaking down to monthly goals has really helped me achieve them. They don’t seem so daunting. I love this idea!! I love setting goals eventhough I’m not always great at keeping them! My January Goal was to keep better track of my goals, so I hope I’ll be able to keep it up next month 😀 Reading more books that are NOT recipe books is definitely high on my list for February too! sounds like january was a good month! if you want to get into a bed making habit, you should adopt a cat who is finicky about sleeping on an unmade bed and shares her aggravation by using your bed as a litter box. after a few times of having to wash everything from your bed (mattress pad, sheets, blanket, quilt) you very quickly learn to make it every single day without fail. 🙂 haha. but in all seriousness, we started doing this a few years ago after our cat started showing us her anger (about the bed, but probably also about the other cat we adopted around that time) and i actually love how much cleaner my bedroom feels…just by making the bed! The days I made the bed I noticed everything else seemed cleaner. The shoes got put away, the laundry picked up, etc. It is a great clean slate focal point. 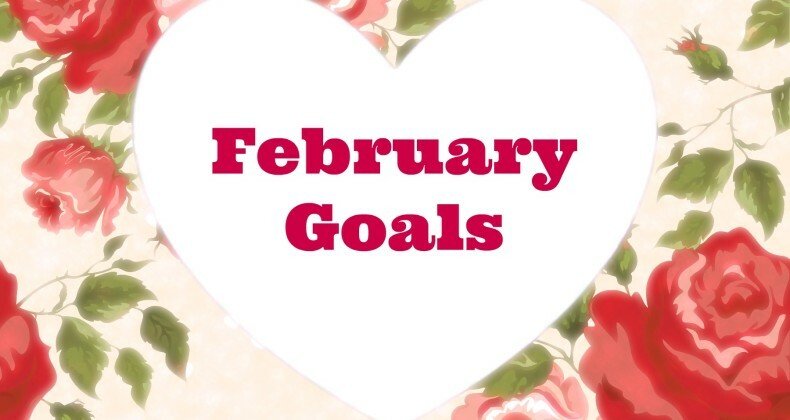 I’m finally back to blogging, and I love the idea of monthly goals. I attempted them a couple of times, but didn’t keep myself accountable. I hope that by posting them, I’ll keep at them. Good luck to you! I love your life pictures from January and your goals are so perfect! I may have to borrow a few of them! You can do it!! Love reading about your goals…and Love the instagram recap…mind me asking how you made the collage? ps. not sure if it was just me or not, but the link to review your january goals took me to your runza recipe…which looks amazing by the way. 🙂 but didn’t see your goal updates. hehe.